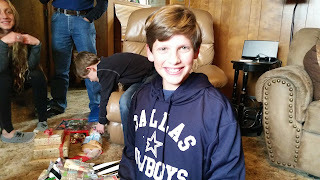 We had a wonderful Christmas celebration with family in Abilene. 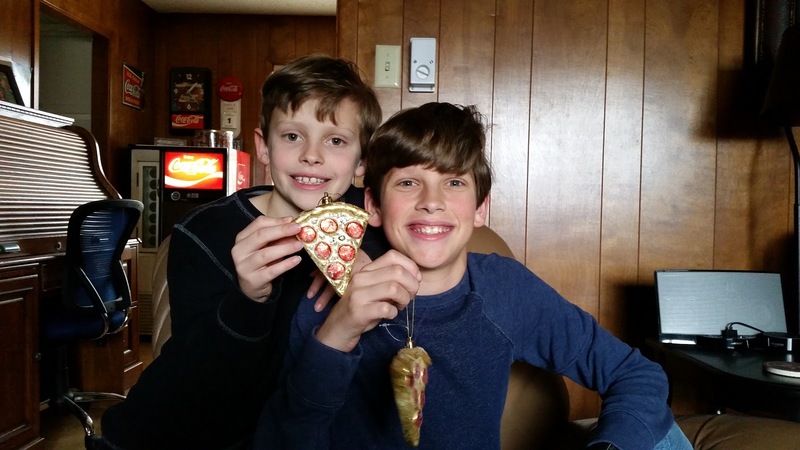 Pizza ornaments from Aunt Julie. 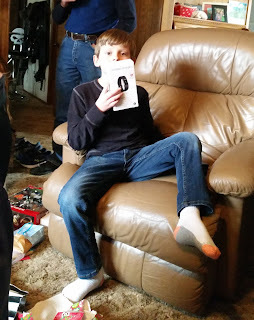 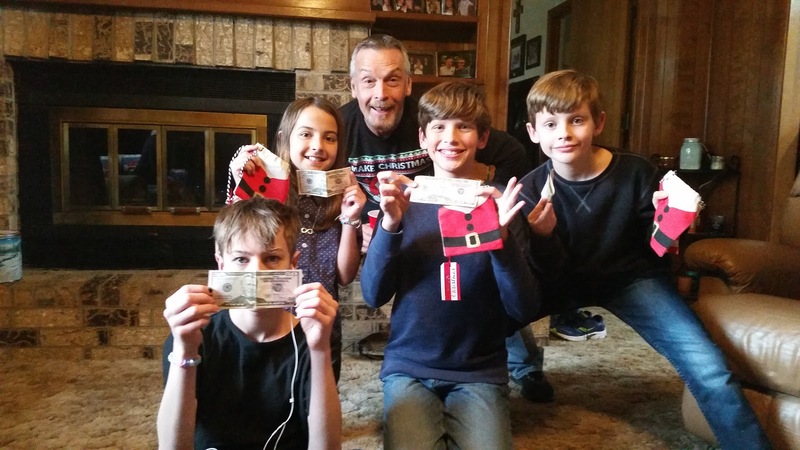 All the kids were happy to get money. 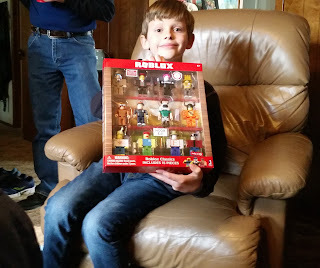 Brady got some Roblox figures to play with. 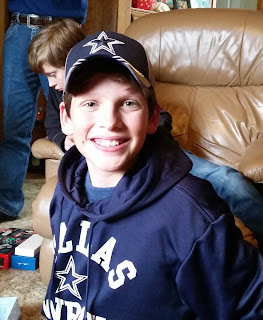 What makes Dawson smile to big? A Dallas Cowboys hoodie! 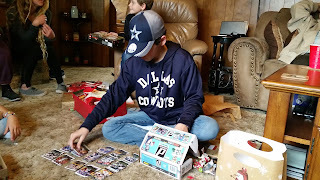 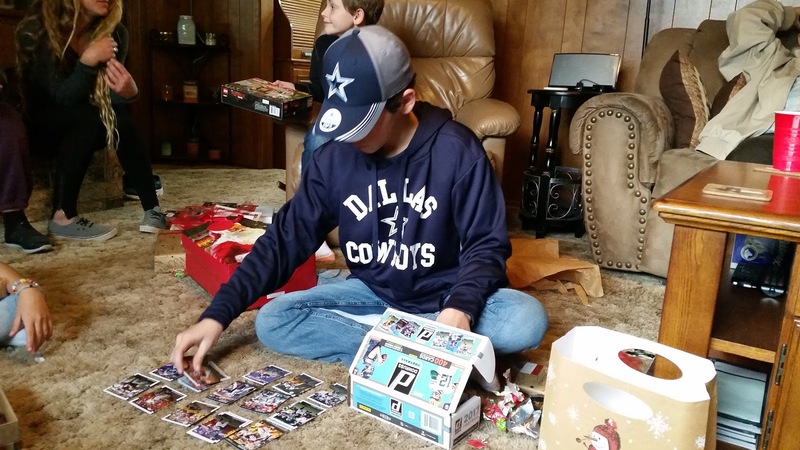 Dawson sorting a giant box of football cards that he got from Erin.